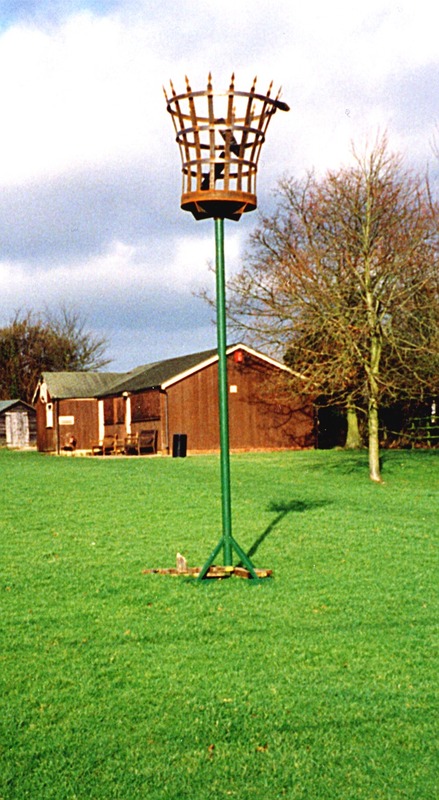 Ropley’s Millennium Beacon — lit at midnight on December 31st 1999 as the church bells rang out to mark the start of a new millennium. In the background is the Cricket Club. Several thousand villages in England over the last 20 years have carried out village appraisals, with the encouragement and backing of District Councils and the Countryside Commission. Some have produced second or updated appraisals 10 or 20 years after the first. 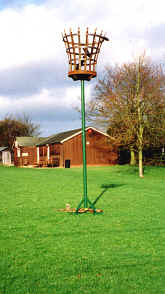 Their purpose was to identify the key issues and find out the view of the individuals in the village, and of the community as a whole; to put them on record; to develop a plan of action; to improve the amenities and environment; to make recommendations for the District Council and the Parish Council to take account of, so that the priorities on expenditure reflect the wishes of the community. Many of us make assumptions, whether as individuals or as representative bodies, about our local community and what it does or does not want. Sometimes this is based on what we hear, casually, sometimes it’s an extension of our personal views or prejudices. There is only one way to find out what people really think, which is to ask them directly. That’s what this Appraisal is about. The Ropley Village Appraisal cost £2500, and was funded by the East Hants District Council, the Parish Council, the Ropley Society and a grant from the Millennium Commission. It has been carried out and produced by volunteers. The Appraisal was initiated by the Ropley Society at a Public Meeting in October 1998, which led to the formation of a Steering Group. Local societies were consulted on key issues and in early 1999 sub groups were formed to select the questions. A pilot questionnaire was printed and distributed to 20 households in June ’99, with the main questionnaire being distributed to each of the 605 houses in the village in July by a team of 36 volunteers. The answers made up 100,000 items of data from 455 responses and these were fed into a special Village Appraisal computer programme in August and analysed through October and November. This report was printed in March 2000 and the results will be presented to the Parish Council Annual Meeting and to a Public Meeting on 7th April 2000. We begin our report with scene-setting sections, about the village today and its history in the early, middle and recent periods. In Part 2 we describe how the appraisal was carried out and then follows the bulk of the report containing the results of the appraisal. Some historical comments in the appraisal sections are included to provide perspective, and to show that efforts have continuously been made to adapt the facilities and environment to the needs of the village. It is the hope of the Committee that the appraisal will give a boost to any necessary change to leave the village in a better state for the population of the next century. The report ends with overall conclusions. Finally I would like to thank the author, the Committee, our volunteers and sponsors. Without their help the project would not have been completed successfully.